PUNE: India has witnessed a growing appetite for both domestic and international cuisine in 2017 but majority of them stayed indigenous as desi dishes topped the list of most ordered food items online and Chicken biryani topped the list. 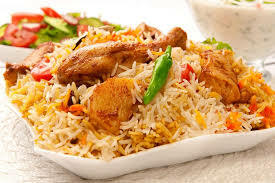 According to the order analysis from food ordering and delivery platform Swiggy for 2017, chicken biryani continues to rule the Indian plate. The order analysis was done for seven cities – Pune, Mumbai, Delhi-NCR, Hyderabad, Bengaluru, Chennai and Kolkata. According to Swiggy's order analysis, Masala Dosa, Butter Naan, Tandoori Roti and Paneer Butter Masala rounded off the top five most ordered items of 2017. While Pizzas did not rank amongst the top five most ordered items, it was the most searched. In fact, Indians have searched for it over five lac times! The other searched items include burgers, chicken, cakes and momos. Leaving its mark on the calendar, December 3 saw maximum foodies order online (on Swiggy) Overall, Swiggy's order analysis highlighted India's love of logging on and dining in across the country. In fact, online food ordering has become such an integral part of the lives of urban Indians, that Swiggy saw a single user order 1415 times in 2017.The analysis includes meal categories, late-night ordering, snacking, upcoming food trends, desserts, healthy and international cuisine. * Masala Dosa, Idli and Vada rule breakfast menus for most Indians while for lunch and dinner, they preferred biryanis that include chicken, mutton and vegetable followed by paneer butter masala and masala dosa, dal makhani and chicken fried rice. In 2017, Indians munched the most on pav bhaji, french fries, samosas, chicken roll, chicken burger and bhel puri during snack time.